Late Reduced remix Diabolo.ca collaboration video 2017 is COMING for real!!! I talked with Wis and he tries to send me all the previous collaboration 2017 clips he has saved, this means maybe 25% or 50% of clips and I promised to make the edit for year 2017 collaboration video. You probably remember the collaboration video I edited 2014. So don't get too hyped. 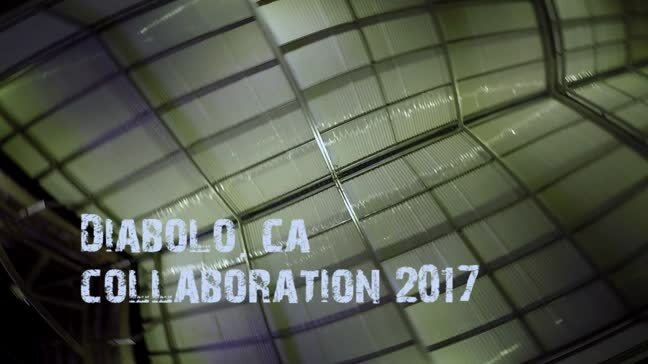 But what I can guarantee is that there will be Diabolo.ca collaboration video 2017. So just to make this happen, and you have sent clips for this collaboration please re-send them to me before end of August and you'll get the collaboration video in September and We can launch new collaboration poll for year 2018. Re: Late Reduced remix Diabolo.ca collaboration video 2017 is COMING for real!!! At the moment We are at 22 clips of massive and crazy diabolo juggling for Diabolo.ca collaboration video 2017. I'm still happy to get more and more clips to include in the coming video. I lost my 2017 clips so those are not included unless by any change Wis still has them. Deadline gone and I have dowloaded all execpt two clips already. Let the editing work begin. This is what We were 2017 and I think We were good. Loving you all. You forgot to credit yourself as a player. Loved the first trick... Certainly a new version of The Sprinkler, he he. Well played everyone. My highlight is Arjans trick, like the stop and tart from jannis, and many others. Great tricks, thank for editing Rauli, and sorry for not sending it. I just missed the deadline, partly busy doing diabolo things around hehe. It is not only that I did not send my clips, but I also did not send the others that I was supposed to transfer to Rauli. The videos that I got while Max was assigned to be the editor. Deep apologies for that, I did not have time (I was on holidays whole august), not the mental optimum state, nor got any reminder, and well, it slipped from my brain and I had committed to it. So, I am sorry, people. I guess is time to start preparing the 2018 one. just don't get the much why posting more than one version of the same video and splitting the views. luabduchl, is it about the views? I'm not in that game! I'm here just because all the fun. I thought making totally different edit but I am quite busy at the moment so I just changed the music.